Below: The pool at the bottom of their enclosure is a favorite place to cool off. 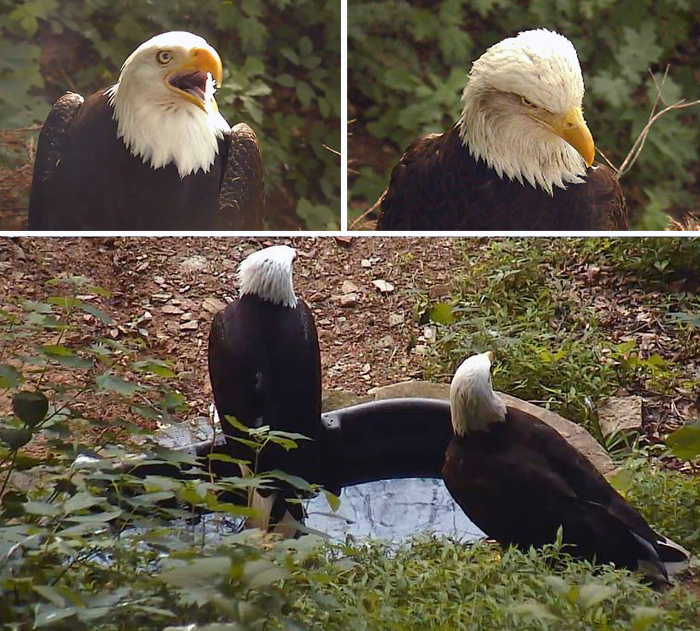 There were 3 nesting pairs of non-releasable Bald Eagles on Eagle Mountain Sanctuary aviary during the 2016 season: Independence & Franklin, Isaiah & Mrs. Jefferson, and Volunteer & Hero. 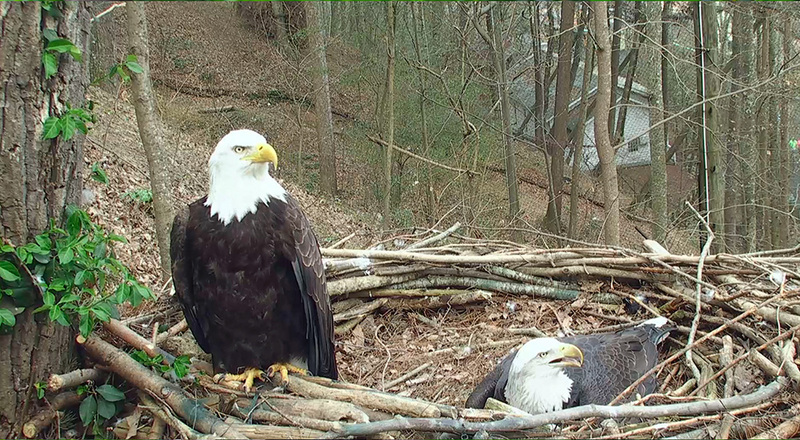 None of these pairs had a successful breeding season, but the people visiting the exhibits enjoyed seeing these eagles living the best life possible in captivity, with mature trees, plenty of room, and others of their kind with which to mingle. Our eagles are educational ambassadors. They have an important role to play, and our 3 nesting pairs in the 30,000 sq. ft. aviary continue to inspire countless families who visit Dollywood. 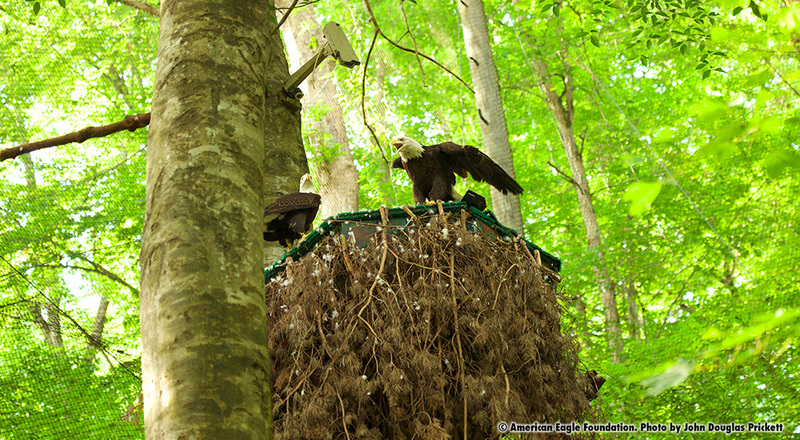 Off-site, at AEF headquarters, 3 eaglets were raised by other non-releasable eagle pairs. Two from Honor & Braveheart, and one from Freedom & Faithful Spirit. In addition, 2 eaglets from Florida were transferred to AEF to be released from our Hack Tower on Douglas Lake. A total of 5 eaglets were released into the Smoky Mountains. The other eaglet hatched and raised by Honor & Braveheart was named “Bailey” (Patagial Tag B6) and was released June 28th in honor of Korean War Veteran Sgt. Bailey Keeto. 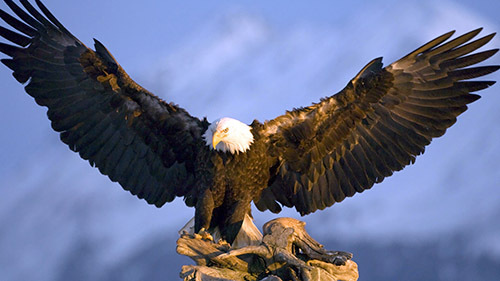 Survivor was the150th Bald Eaglet into the wild from its Douglas Lake hack tower (artificial nesting tower) into the foothills of the Great Smoky Mountains in honor of all U.S. Servicemen and Servicewoman who died during or survived this Day of Infamy. Watch the video of Survivor’s release.